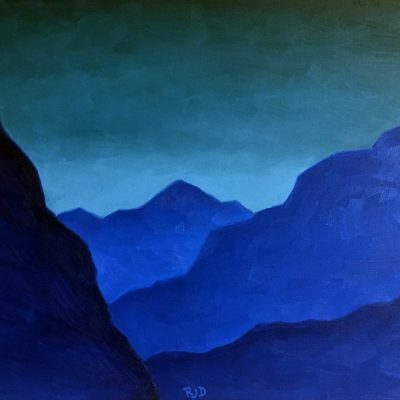 This is an original oil painting of a view of Camelback Mountain in Phoenix, seen from the east looking into the late afternoon summer sun. 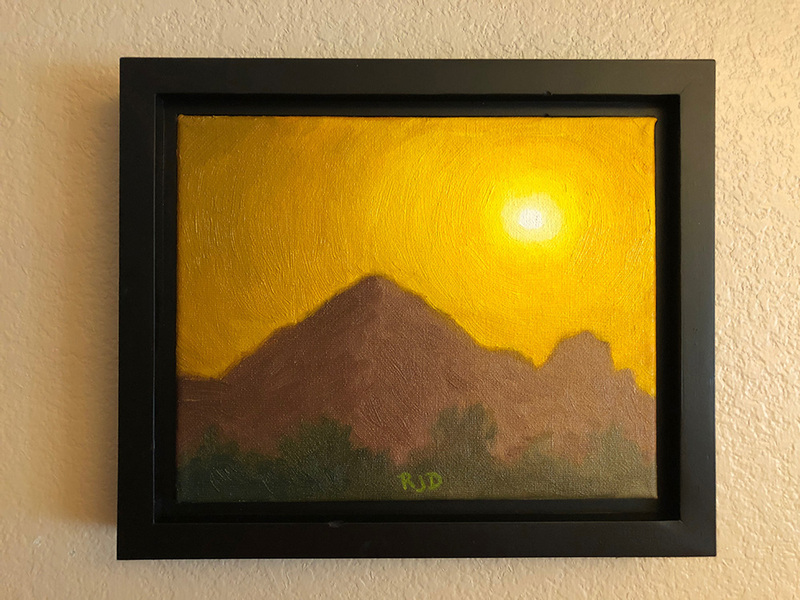 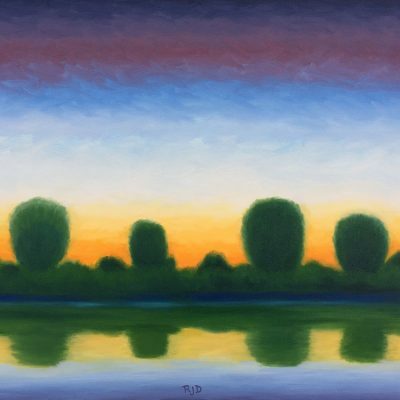 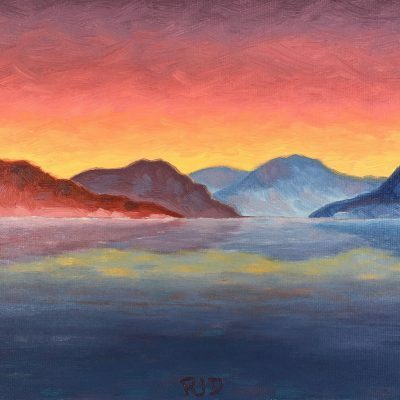 I was inspired to paint this view this past summer of 2017, which I saw as I was driving on one of our near-record heat days (it reached 121° that day). 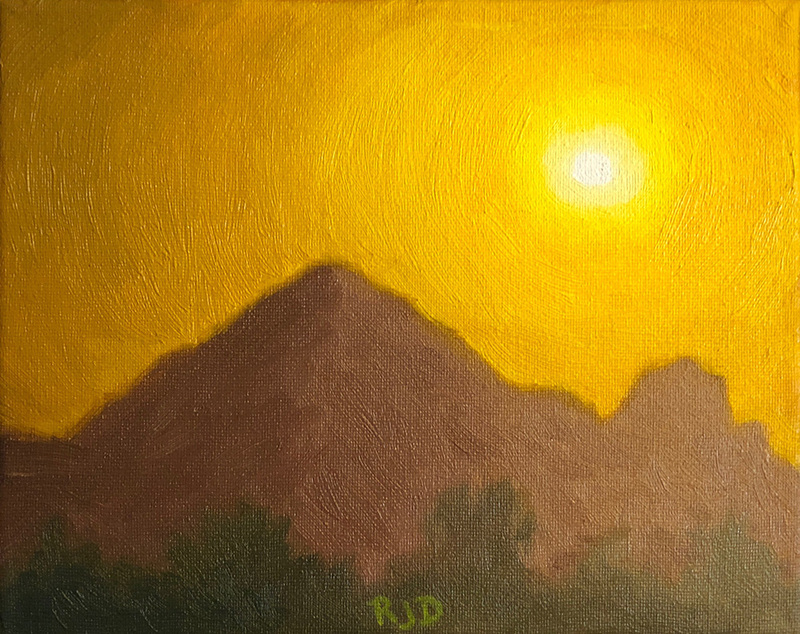 It was very hot, hazy, and there was a warm breeze that was kicking up dust in the valley, which created a haze that filtered the sunlight, giving the sky a warm yellow cast, and washed out a lot of the detail of the mountain and the trees in the foreground. 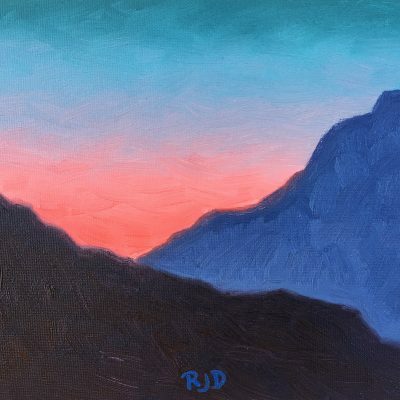 I knew immediately that I had to capture this amazing view on canvas.